​It didn’t take long for the feds to follow through on their threat of federal raids in Washington after the governor refused to sign a bill which would have legalized medical marijuana dispensaries in the state. A medical marijuana raid preparedness class in Spokane was interrupted Thursday so that the participants could go protest ongoing dispensary raids by federal agents, according to patient advocacy group the Cannabis Defense Coalition. CDC, based in Seattle, had already scheduled raid preparedness classes around the state this week. It turns out that the training is even more timely and needed than the group may have imagined. 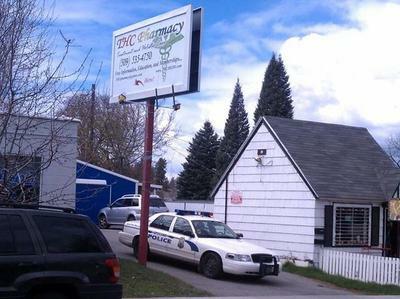 At about 2 p.m. on Thursday, federal agents, apparently assisted by local police, began executing a raid against a medical cannabis provider, THC Pharmacy, at 1108 South Perry Street in Spokane, according to Phil Mocek of the CDC. Looks like the Spokane police just couldn’t resist getting in on the action when the feds raided local medical marijuana dispensary the THC Pharmacy. ​The raids come soon after threats from the two U.S. Attorneys in Washington state, and as Governor Christine Gregoire considers the fate of a bill to license medical cannabis dispensaries and create a state registry of medical cannabis patients which would provide arrest protection. The raids eerily coincided with a “raid preparedness training” class in Spokane presented by two activist groups, Americans for Safe Access (ASA) and the CDC. Also in attendance was Kevin Oliver of the National Organization for the Reform of Marijuana Laws (NORML). Steph Sherer of ASA spoke at the training event. The training, planned for 1 to 4 p.m., adjourned early so that attendees could protest the raids. Assistant U.S. Attorney Tom Rice described the raids as an “official law enforcement action,” according to KXLY 4 reporter Sally Showman. 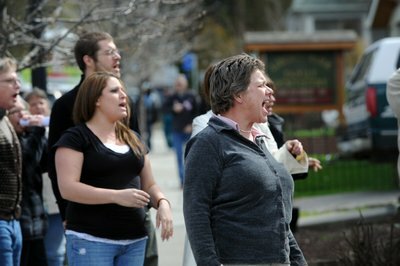 Outside the THC Pharmacy marijuana dispensary, activists chant “DEA, go away!” in protest in Spokane, Washington, Thursday, April 28, 2011. The DEA raided the dispensary while most dispensary owners and pot activists were at a meeting about how to handle DEA raids. ​Club Compassion, located at 1004 East Bridgeport in Spokane, is also being raided by police, according to KXLY. On April 7, Michael Ormsby, the U.S. Attorney for eastern Washington, said that “marijuana stores” violate federal law and they must close right away. “The proliferation of marijuana stores, which are not authorized under state law, suggests that drug traffickers are attempting to avoid application of state law through the use of these stores,” Ormsby said. Charles Wright, operator of a medical marijuana dispensary, gives a quick “thumbs up” to chanting cannabis activists outside his store during a raid by the DEA in Spokane, Washington, Thursday, April 28, 2011. The activists were already gathered to learn about how to handle DEA raids, so they went to the site of the raid to protest. 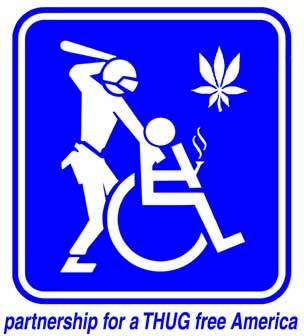 ​The reason a U.S. attorney is emphasizing “state law” is the 2009 Department of Justice announcement that it would not prioritize federal raids of patients and providers who are abiding by state law in states where medical marijuana is legal. There are other dispensaries being raided by federal agents, but Rice would not say how many, or reveal the locations of the other raids. There are rumors that the Treehouse and Evergreen dispensaries were among the other shops raided on Thursday, according to Ben Livingston of the CDC. There are about 40 marijuana dispensaries in Spokane. According to Rachel Kurtz of the CDC, an emergency response meeting will be held tonight (Thursday night) at 8 p.m., at 1408 West Broadway in Spokane. A third and final raid preparedness training session is scheduled for Friday, April 29 from 1 to 4 p.m. at Black Hall Room 151 on the Central Washington University campus in Ellensburg, Washington. A medical cannabis “stakeholders meeting” is planned from 10 a.m. to 4 p.m. on Saturday, April 30, at CDC’s Cannabis Resource Center in Seattle.